I hope people don’t think I eat the perfect food all the time. Sometimes I want to cheat too. Sometimes I just want a cuban toast with butter and a latte. In Miami we call that a Tostada y Café con leche. That is one meal I miss dearly since eating clean. I love ice cream and pizza and all that jazz too. Eating clean doesn’t mean you have to suffer. It means you make adjustments. There are millions of different things you can make to offset whatever craving you have. I was craving chips like nobody’s business. I don’t keep chips in the house-for obvious reasons. But had I had them, I would have downed them. I did, however find this bag of organic popcorn kernels I bought at Marando Farms, a health food store. So I heated up my pot (I don’t own a microwave), added some oil, and popped popcorn. Making popcorn this way doesn’t allow anything to stick to it (it’s not drenched in butter) so I get creative. I drizzle honey, sprinkle salt, and add cinnamon. MMM! Delish! This is not a food I would eat often and I do not consider this healthy. Corn is a grain not a vegetable. And if I’m having a lupus flare, which I sometimes still have, I will not eat this because it is an inflammatory food. This is a once in a while food if I really want something I shouldn’t have. It happens to all of us at one time or another. I try not to give into cravings but if I do, I find the best alternative. Food from home is always better. Heat up a large pot on medium high. Add oil and kernels. 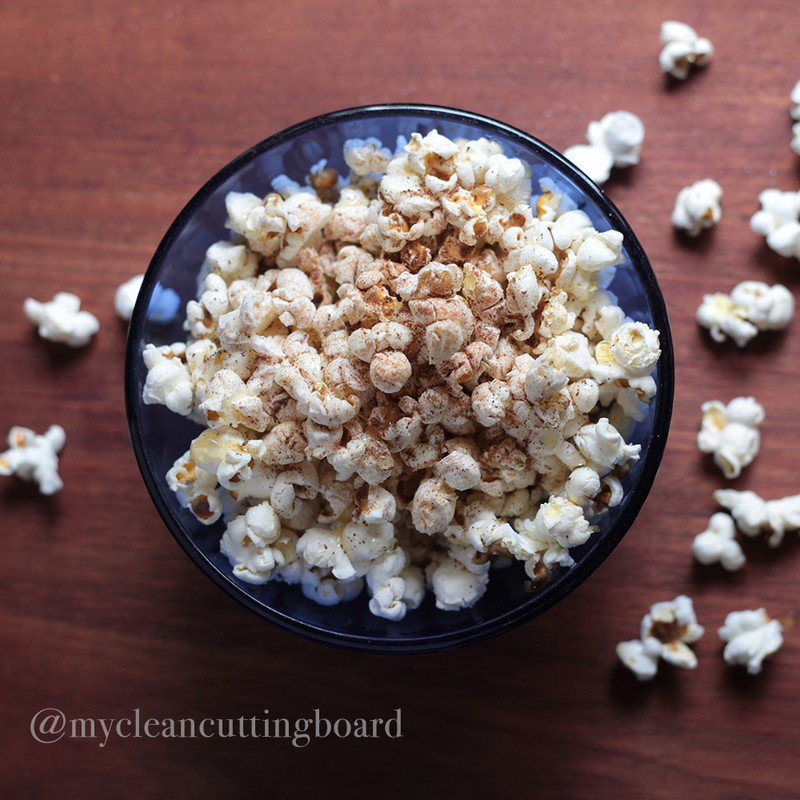 Mix kernels until they are all covered in oil. Wait until they begin popping and cover, leaving a little room for the steam to escape. When you hear the pops slowing down, remove from flame. Pour it out into a large bowl. Drizzle honey, then salt, then cinnamon. Mix together with a spoon and enjoy!